The Raid On Troy Book Blast Author: Murray Lee Eiland Jr. Author: Murray Lee Eiland Jr. The Greek raid on Troy is chronicled in the Iliad and the Odyssey. These poems are pillars of ancient literature and continue to be carefully studied. Homer, who lived in the 8th or 7th century BC, is credited as the author. The actual conflict has been dated from 1260-1180 BC or even earlier. The question is, how close is Homer’s account to real history? In the Orfeo Saga volume seven there are some familiar characters from Homer. Their motivations, as well as their history, can be radically different. Memnon is a self-made man and a petty king who craves the fabled gold of Troy. His brother Menas is king of Sparta. They assemble a coalition to sack the city. Telemon, not eager to join the expedition, is moved to act after his daughter Elena is taken. He seizes the city of Mycenae and goes to Troy. Odysees might not be as clever or brave as the man described in Homer, but he joins the expedition out of greed. He soon meets Orfeo’s son, who is in search of his first real adventure. Orfeo is on the Trojan side, and has to face the assembled military might of Greece as well as Odysees cunning plans. The Greeks have Ajax, who they count on to defeat any foe in single combat. Can Telemon - now an old man - defeat the greatest Greek warrior and recover his daughter? 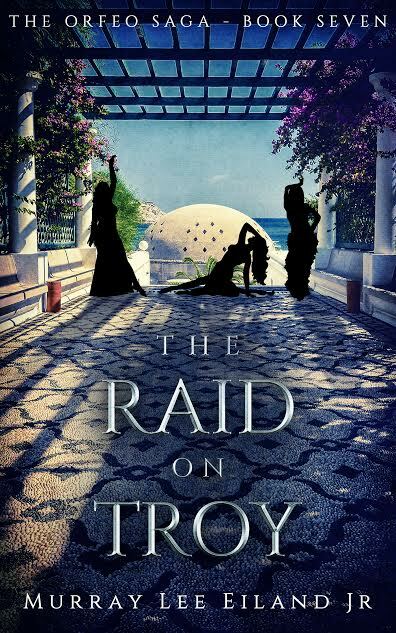 The Raid on Troy might not be any closer to real history than the ancient poems, but it does offer insights into what might form the basis of the stories. pebbles, and the angle of the deck changed as the prow rose higher. He had not seen the ship’s deck for days, nor had he been permitted to walk around on land for perhaps two years. Slaves on Theran ships were treated with about the same respect as sheep, only slaves could not even be eaten because of some Theran religious prohibition. Galley slaves were useful,but were neither expensive nor in short supply. Memnon recognized that his brother burned with rage. Over time, Memnon found himself coming to understand its origin and nature. Although he could not recall much about his life before his abduction, he remembered a world with occasional comforts, and even times of celebration. Dr Eiland is a psychiatrist by training, and has written about Near Eastern art and culture. 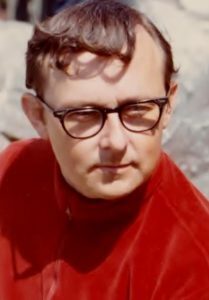 His novels are set in the heroic past and feature fictional characters in a realistic matrix. He has a special interest in exploring how and why people lead. The books contain themes that are suitable for young adults who have an interest in history.